On January 22, 2018, in conjunction with her 90th anniversary, the Disney character of Minnie Mouse was awarded a star on the Hollywood Walk of Fame. She is the eighth character from the Disney catalogue to be given this honor; the first, Mickey Mouse, was awarded this on his 50th anniversary. Minnie was present to receive her star, joined by Disney CEO Bob Iger, pop star and then-American Idol judge Katy Perry, and, of course, her love Mickey Mouse. During the ceremony, Minnie Mouse was recognized not only for her film contributions, but also for her worldwide influence ranging from fashion to theme park appearances. Posted in Uncategorized and tagged 2010s, Honor, Minnie Mouse, Walk of Fame. Bookmark the permalink. On February 2, 1950, the newest issue of Western Family Magazine was released, featuring a romantic image of Mickey and Minnie Mouse kissing through a giant valentine card. The magazine featured Mickey on the cover several times, including in a Thanksgiving-themed setting back in 1945. This 1950 issue was illustrated by Hank Porter, who came to the Disney Studios in 1936, working as a publicity artist, and is well-known today for his work in creating insignias for military units during World War II. Posted in Uncategorized and tagged 1950s, Magazine, Mickey Mouse, Minnie Mouse, Publication. Bookmark the permalink. On December 15, 1934, the Mickey Mouse short film Two-Gun Mickey was released to theaters. It was the first short film to be directed by Ben Sharpsteen. The short begins with Minnie riding a trail, with her horses stopping at a puddle and refusing to cross through it. As she tries to pull them forward, she lands in the puddle, much to the laughter of Mickey, who has been watching nearby. Minnie refuses his help, though he assists her anyway without so much as a thank you. Minnie continues into town, and rebuffs the advances of Pete, who is a wanted bank robber. He and his gang chase after her, and Minnie races through the desert to get away. Meanwhile, Mickey is dreaming of Minnie at his campfire, when he hears her scream nearby. Seeing that she is being chased by bandits, he and his horse race down the canyon to rescue her. Pete manages to trap Minnie up a pole, and catches her in his arms, teasing her about her thinking she can take care of herself. As the gang fires on Mickey, he is able to shoot back with gusto, defeating all of the bandits with a series of well-placed shots. He then finally finds Minnie, and fights with Pete, eventually ending up falling off the side of a cliff. Mickey and Minnie share a kiss as they ride off into the sunset, pulling an unconscious Pete behind them. Posted in Uncategorized and tagged 1930s, Black and white, Mickey Mouse, Minnie Mouse, Short film. Bookmark the permalink. On November 20, 1989, a new $10 bill featuring Minnie Mouse was added to the Disney Dollar currency that was used within the Disney Parks. Though Disney Dollars had been circulated since May of 1987, it had only featured the $1 and $5. A $50 bill would be added in 2005 for the 50th anniversary celebrations of Disneyland; all the dollars were discontinued on May 14, 2016. Posted in Uncategorized and tagged 1980s, Disney Park, Disneyland Park, Minnie Mouse, Walt Disney World. Bookmark the permalink. 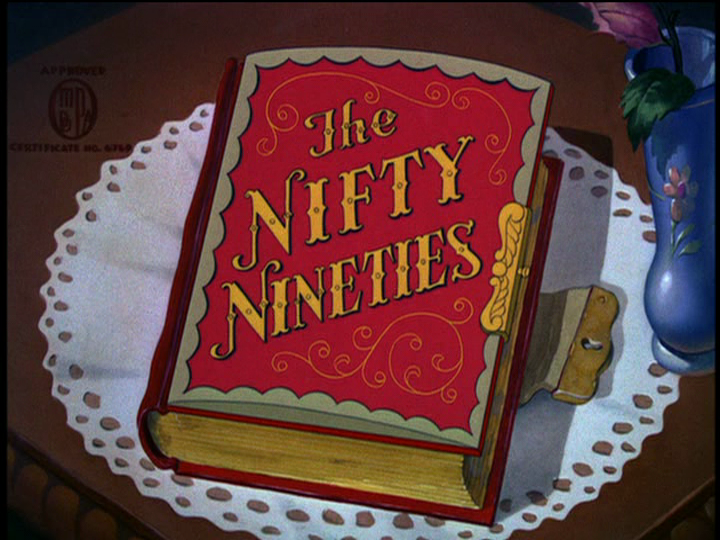 On June 20, 1941, the Mickey Mouse short film The Nifty Nineties was released to theaters. 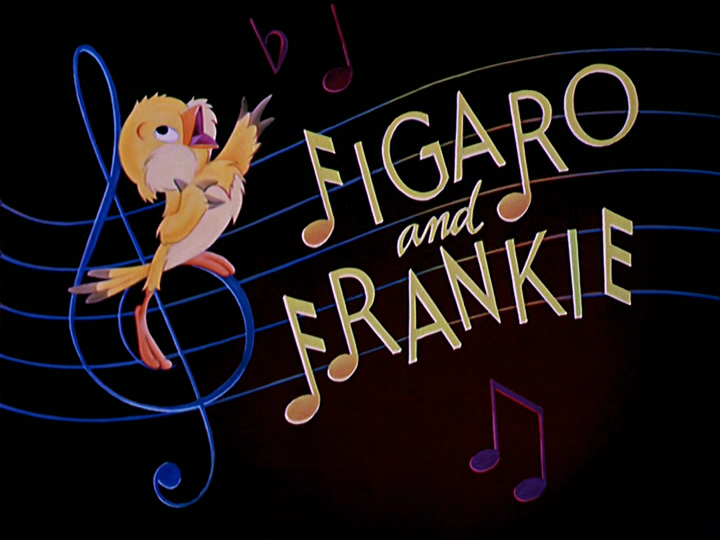 This is one of the few shorts that features the appearances of all the “Fab Five,” as well as a special cameo of animators Ward Kimball and Fred Moore. The short was directed by Riley Thomson. A photo album opens to reveal a picture of Mickey next to his car, and the scene is set in the nineties, where he decides to go for a stroll in the park. There, he meets Minnie, and the two fall in love at first sight. He offers Minnie some candy, and the two head off together for a stroll. They head to a vaudeville show, where they are first entertained by a melodrama called “Father, Dear Father.” The melodrama drives Minnie to tears, and Mickey tries to comfort her. Afterwards, they are delighted by the antics of Fred and Ward: Two Clever Boys from Illinois. Afterwards, the two go on a drive, passing by Goofy riding a penny-farthing, along with Donald, Daisy, and the nephews on their tandem bike. Mickey’s car races at 15 miles per hour through the farmland, and barely makes it up a hill, but spooks a cow on the other side. They crash into the cow, but everyone is able to laugh at the situation. Posted in Uncategorized and tagged 1940s, Color, Mickey Mouse, Minnie Mouse, Short film. Bookmark the permalink.